Although traditionally viewed as an area of law dealing with the disposition of property after death, estate planning encompasses far more. It is a dynamic process that takes into account personal and family goals throughout a client’s lifetime as well as after death. Furthermore, while clients still have estate plans to provide for their families, more often they are also engaging in estate planning to protect assets for their own use, whether pre-retirement, post-retirement or in preparation for a period of incapacity or illness. 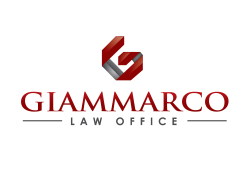 Giammarco Law Office PLLC provides a broad range of services that include the organization and development of estate plans, assistance in the administration of trusts and estates and working with clients step-by-step through the probate process. Our attorneys combine experience, knowledge and the practical applications of estate, trust and business laws with innovative approaches designed to meet clients’ needs and objectives. Our experience and backgrounds, along with patience, understanding and a listening ear are the qualities that highlight our approach. We take the initiative to educate our clients about the options that are available to meet their goals, working closely with them through the various personal and financial changes that affect their estate plans over time. Our clients, with whom we build close and lasting relationships, include a wide range of individuals, families, entrepreneurs and businesses requiring sophisticated estate and trust services. Contact us today to discuss your estate plan.